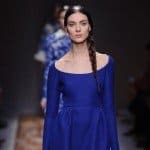 Bleeding gums can become a serious problem if they are not treated on time, so if you have noticed that your gums bleed it’s time to visit the dentist and start treating them. 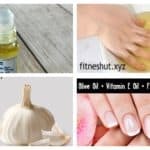 There are some great home remedies that will help you to treat them too and they are really effective. 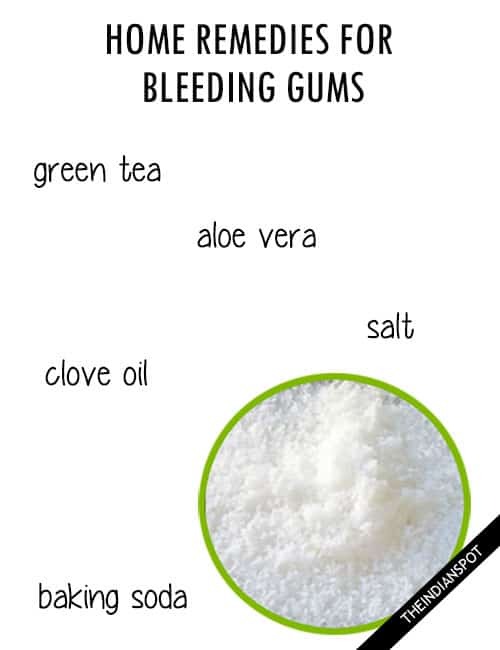 Check out this article and find the Effective Homemade Remedies For Bleeding Gums that are super easy to make. The aloe vera is a common remedies that stops the inflammation and reduces the bleeding. Clove oil is another effective treatment. 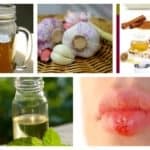 All you have to do is to chew a clove or rub your gums with clove oil. The henna will stop the irritation, so boil fresh henna leaves in water and rinse your mouth after each meal. Use salt and lukewarm water three times a day to gargle and you will see the results. Dip your toothbrush in baking soda and brush your teeth like you usually do. 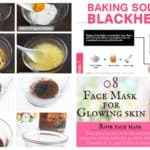 Or maybe you could make a solution of baking soda and water and swish around your mouth. Drink green tea regularly and see how it helps with your bleeding gums. 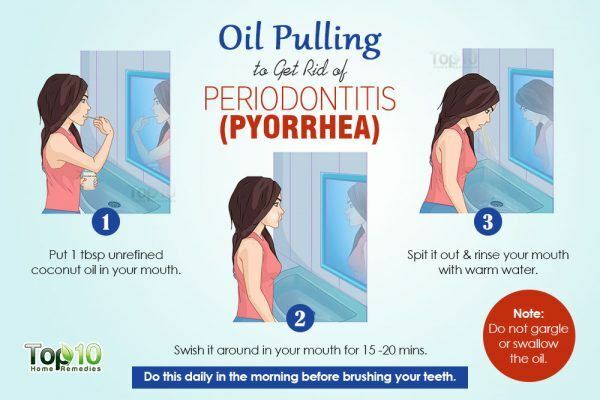 You can also try oil pulling which is really good for you oral hygiene and will help you to strengthen your gums and stop the gingivitis. All you have to do is to swish around in your mouth sesame oil or unrefined coconut oil for 15 minutes. Don’t swallow it but spit it our and rinse your mouth. Repeat this procedure every morning before brushing your teeth. Turmeric is another well known and effective remedy for gingivitis or phorrhea which is an advanced stage of this gum disease. 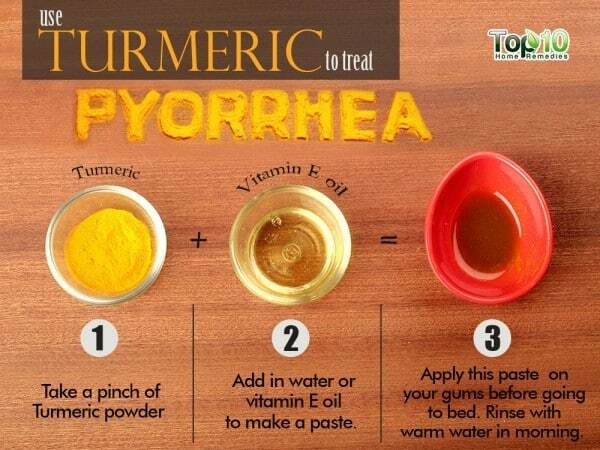 Make yourselves a solution by mixing turmeric with vitamin E oil or water to make a paste. Rub the paste on your gums before you go to bed, and rinse it in the morning. 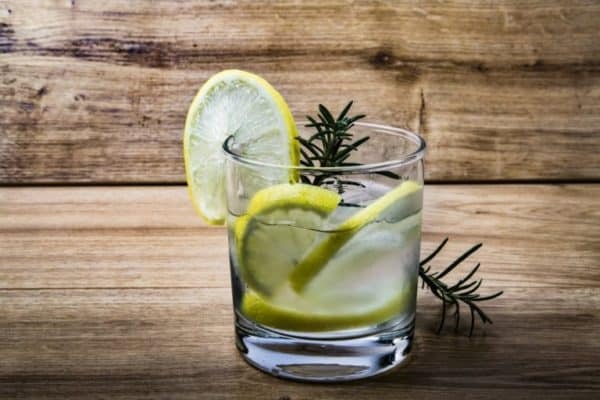 Have you tried lemon juice to stop your gums bleed? Its anti-inflammatory and antibacterial properties will reduce gum swelling and thus the bleeding too. 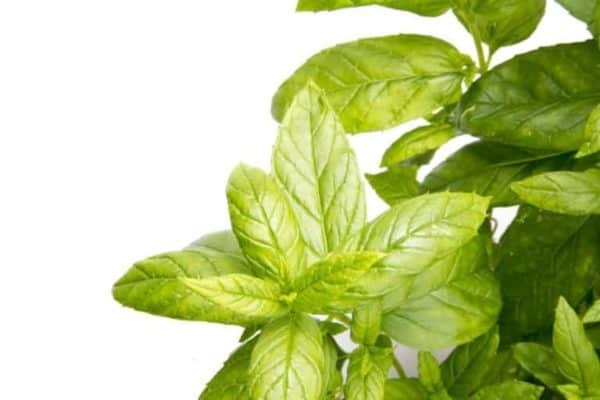 Drink plenty of peppermint tea or just use it as a mouthwash. It will help you reduce the swelling, get rid of bacteria and reduce the inflammation of the gums. It will also help you get rid of bad breath, so there are tons of benefits from this tea. It’s not an expensive remedy, so you should give it a try!